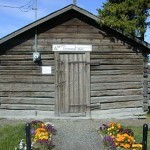 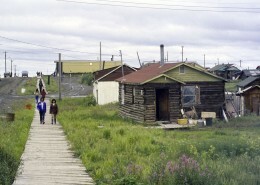 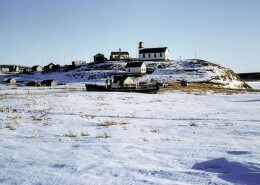 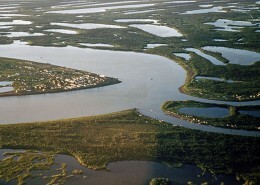 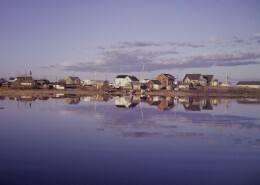 The Hudson Bay Warehouse and its associated lot is a City of Yellowknife Heritage Site. 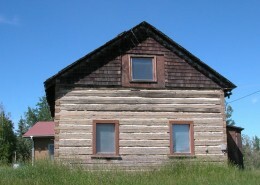 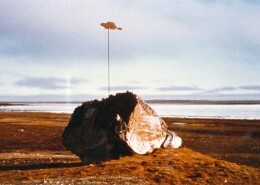 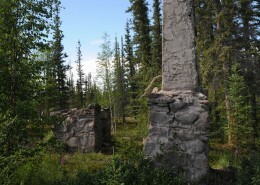 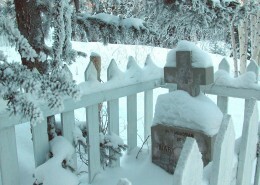 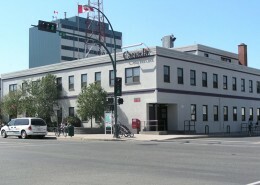 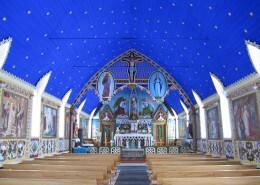 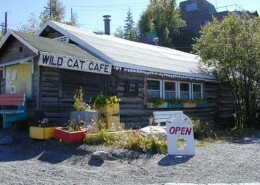 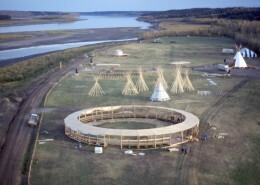 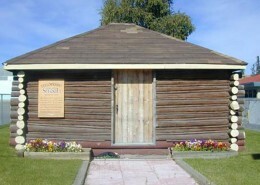 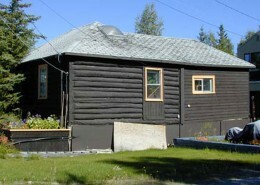 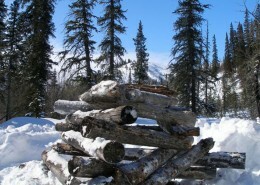 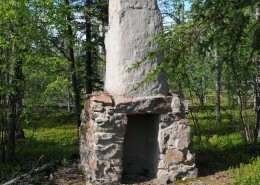 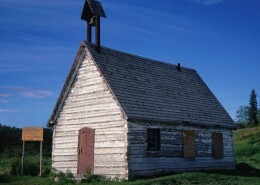 It is located at 3501 Wiley Road in Old Town Yellowknife. 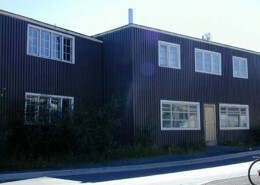 The warehouse is a two storey asbestos tile-sided building that has been covered in metal cladding. 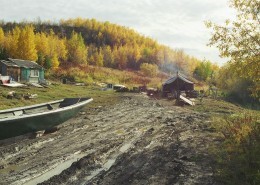 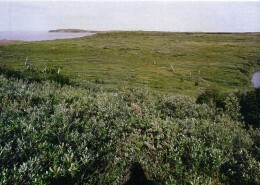 The lot is Lot 1, Block 2, Plan 68 of the City of Yellowknife, approximately 1 hectare in size, situated on Back Bay waterfront. 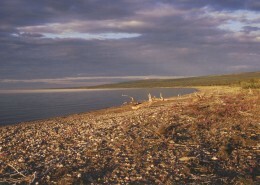 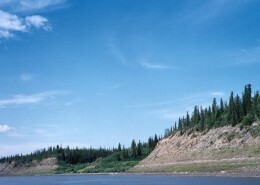 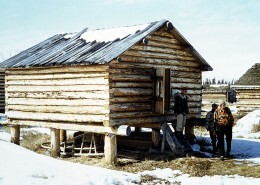 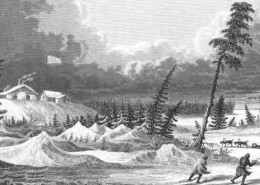 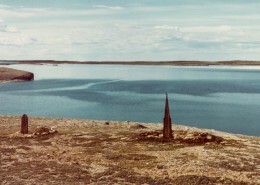 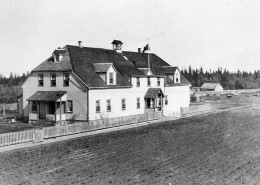 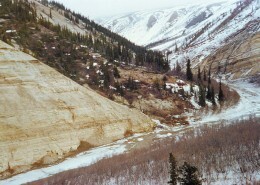 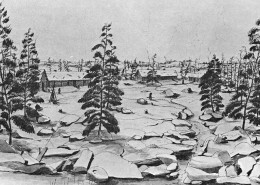 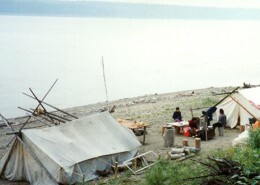 With posts throughout the NWT and across Canada, for many years the Hudson’s Bay Company held a virtual monopoly on fur trading and general merchandise. 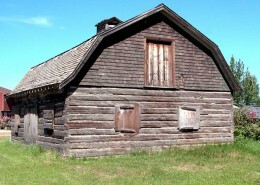 This warehouse is a remnant of the Hudson Bay Company, the oldest and single most important historic commercial operation in northern Canada. 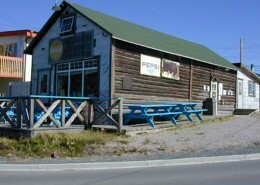 Yellowknife’s first Hudson Bay store opened in the fall of 1938, shortly after the birth of the town. 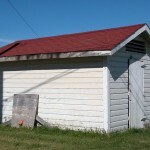 This warehouse was built in 1945 to store retail goods imported by river from the south to feed, clothe and support the miners who established the town. 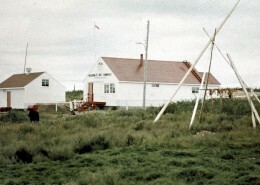 The Hudson Bay Warehouse is one of Yellowknife’s finest examples of an early retail and warehouse operation. 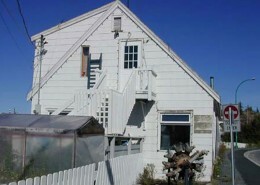 The new metal clad exterior siding is deceiving; underneath the original doors, windows, and interior layout remain. 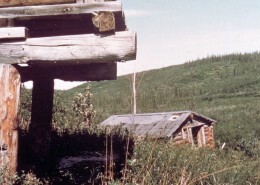 To this day, you can still see the floor markings delineating storage space for specific warehouse items. 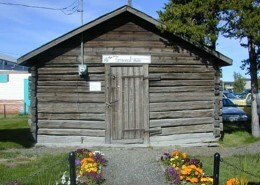 The Warehouse is situated along the waterfront in historic Yellowknife, and surrounded by other designated municipal historic structures. 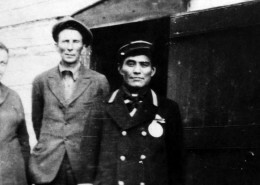 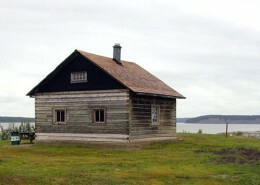 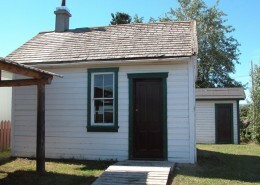 Its presence supports the character of Old Town Yellowknife, and is a reminder of the importance of water transportation and the Hudson Bay Company to the early development of Yellowknife. 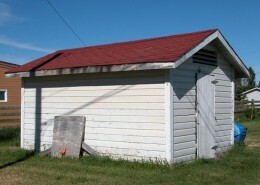 the historic visual and functional relationships between the water, the building and the road that underline its historic role as a transportation and storage facility.